The World to Come: Art in the Age of the Anthropocene responds to rapid and radical changes on our planet. The exhibition includes works by more than 50 contemporary international artists who challenge the forces that drive run-away climate, environmental devastation and imminent extinction. Despite challenges, artists counter with resistance and imagination, seeking new ways of seeing, thinking and re-imagining the relationship of humans to non-human life. Session Chair, Interdisciplinary Thinking for a Better Tomorrow, 2019 Foundations in Art Theory and Education (FATE) conference, Columbus Ohio, April 4-6, 2019. Panel discussion, By Hand: Contemporary Practices in Fiber Arts, Gamache-Koger Theater, Ringhaver Student Center, Flagler College Campus, Saint Augustine, Florida, Saturday February 23rd, 2019, 11:15 a.m. – 12:15 p.m.
+ Florida State University Museum of Fine Arts, First Place Award, 30th International Juried Competition, Tallahassee, FL, 2015. 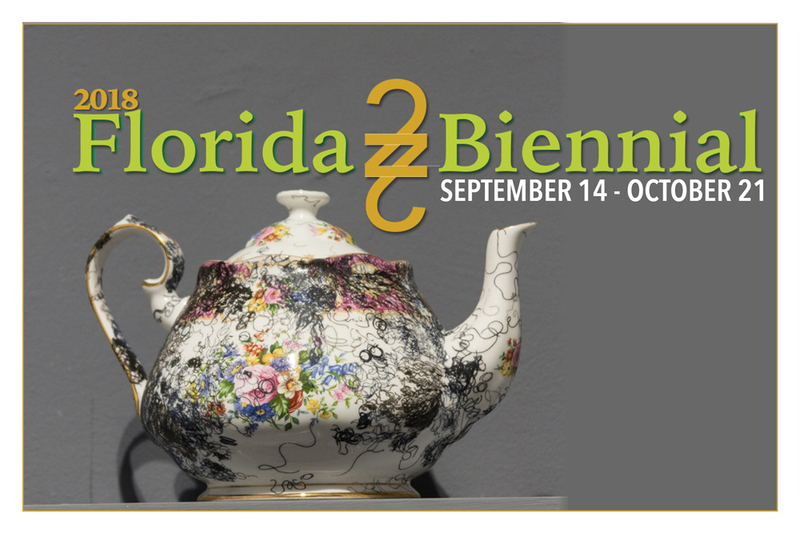 The 2018 Florida Biennial features 66 works by 31 artists who were selected by juror Sarah Fritchey from entries submitted to the Art and Culture Center/Hollywood. The exhibition opens with a reception from 6-9 p.m. on Friday, Sept. 14 with the announcement of awards for the Juror’s Pick and Honorable Mention. This ninth edition of the Center’s Juried Biennial received applications from 291 artists living in 85 cities throughout Florida. In all, juror Sarah Fritchey reviewed 2,050 works from artists working in any media. The 2018 Florida Biennial focuses on exploring multicultural identities, discussing ecological issues, and imagining a robust cultural climate for Florida within the global economy. My work was included in the hardbound book, - Creative Quarterly 100 Best Annual 2016. Four of my emblematic jacquard woven drawings are published in Creative Quarterly, Issue 44 which will hit the newsstands in the US, Canada and the United Kingdom in March 2017. Sleeping Through The Dream, unwoven walmart american flag blanket on paper, sold to a couple in Memphis, TN, July 2015. LandEscape Art Review, Special Anniversary edition 2015, (cover image) and personal interview by curators Dario Rutugliano and Josh Ryder, released July 17, 2015.